A handmade rose petal teddy bear in pink or red. 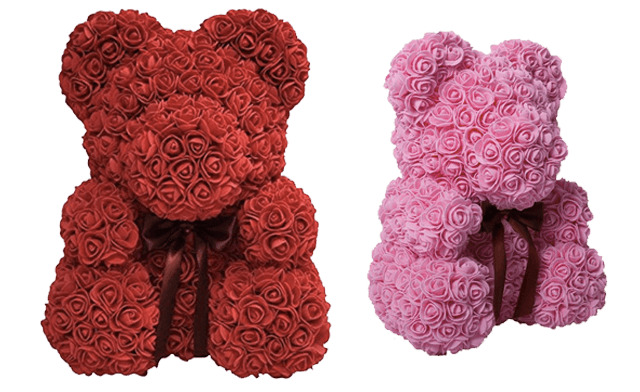 This handmade rose teddy bear is the perfect choice for a thoughtful Valentine's Day gift. Completely handmade with rose petals for a soft, romantic gift that your significant other can display around the home or office with happiness.